This book examines a crucial question about small states and their governments’ influence in the European Union (EU) decision-making processes. - Are EU small member state governments influential in EU decision-making processes? In other words, do they exercise influence in these processes? And if so, how and at which stage do they do this? 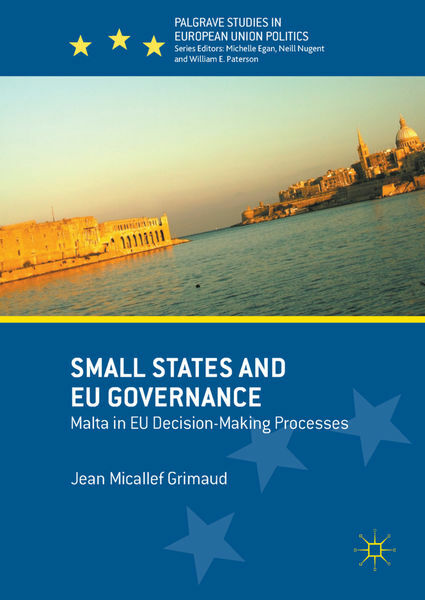 This book seeks to answer the above questions by focusing on Malta – the smallest state in the EU – and whether it exercises influence in ‘uploading’ its preferences in two distinct stages of EU legislative decision-making processes – decision-shaping (formation) and decision-taking (adoption). The cases selected and analyzed showcase the Maltese government’s behaviour in legislative negotiations in differing EU policy spheres that are extremely relevant to it. These are the adoption of EU directives on pyrotechnic articles (falling under the EU competition and consumer health and safety policy spheres) and on the extension of EU long-term residence to beneficiaries of international protection (falling under EU immigration policy). As analyzed in the latter chapters of the book, Malta’s government has achieved varying degrees of success in its exercise of influence in these EU decision-making processes.